R-Cat Oilfield Corp provides heavy-duty, remote-controlled tubular handling equipment for upstream oil and gas well servicing and production in North America. 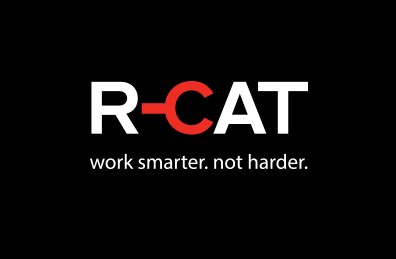 R-Cat equipment uses hands free operation to remove the human interface when handling tubing, drill pipe and drill collars, thus eliminating lost-time accidents and injuries. Upon inception, our product goal has been SAFETY FIRST – working smarter through automation to provide a safe work environment. One critical area of concern in this sector is the way that workers handle rig tubulars. The initial launch of the R-Cat 4200 Hydraulic Catwalk enabled workers to transfer tubulars through the use of remote hydraulic levers to ensure safety. The R-Cat 4200 has been retrofitted with remote control for hands free operation. With the same focus on safety through automation, the R-Cat 2400 was purpose-built for large-scale operation with non-conventional oil assets. From the R-Cat 2400 came the revolutionary R-Cat 2400C. Designed to accommodate Range III tubing, drill pipe and casing, it handled deep well service projects and comes in either a light or heavy service model. R-Cat Oilfield is continuously trying to improve our products with efficiency, capability and safety in mind. This has led to the newest Catwalk in R-Cat’s repertoire –the 2400AV. This new model improves on the previous catwalk styles but adds enhanced safety features as well as an adjustable V-Door! It is also lighter and available for Range II or III tubulars. R-Cat Oilfield Corp provides the newest evolution in Power Swivels. The XK-90 Power Swivel is a hydraulic-powered drilling machine which is capable of well servicing work or light duty drilling. Light Tower Generators and Flameless Hydraulic Heaters round out the current stable of equipment.